Made my version in a very similar fashion last year, Genia, and it looked nothing like this. The flavour was also very subtle. 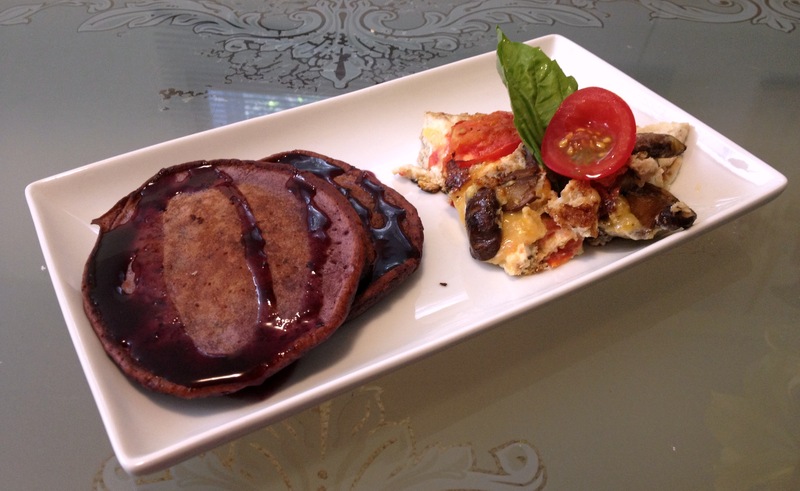 I will take a leap of faith this year, and try your recipe… I need to compare it to mine, as it looks similar. 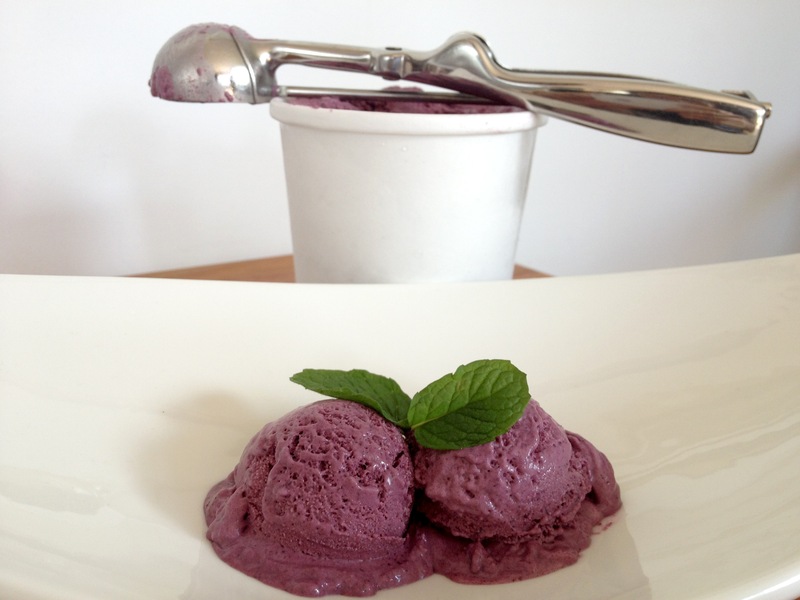 I would LOVE to have my Saskatoon ice cream as vibrant and berry-ilicious! Great post! Thanks, Valerie! 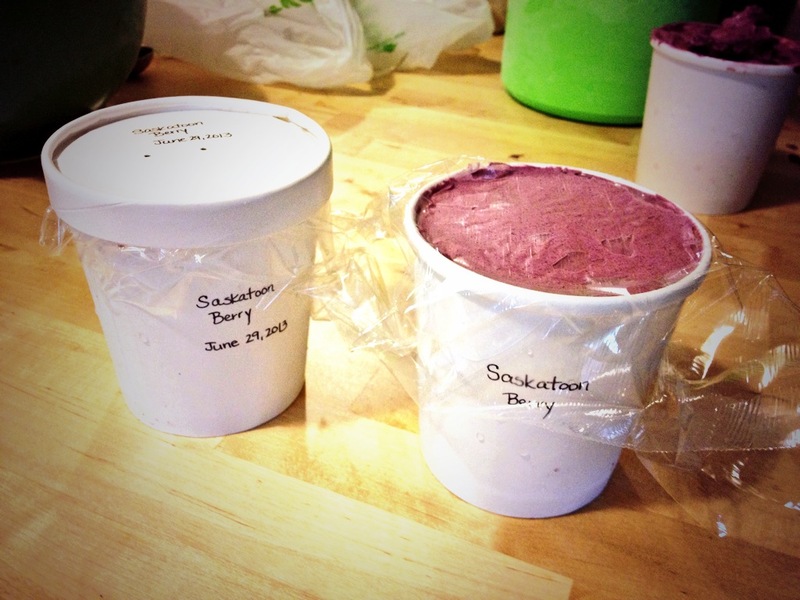 I took a look at your Saskatoon ice cream post and your berry puree is much lighter in colour than mine was. Mine was almost black and very thick – I used only a splash of water when cooking the berries. The more concentrated puree must have resulted in a stronger colour and flavour. Either way, I’m positive your ice cream was delicious! Wonderful recipe; thanks for sharing. Straining the berries into a puree was worth it. 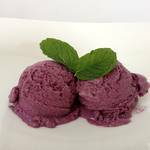 We made this ice cream with Splenda instead of sugar, for my diabetic father-in-law, who misses his sweets and loves Saskatoon Berries. 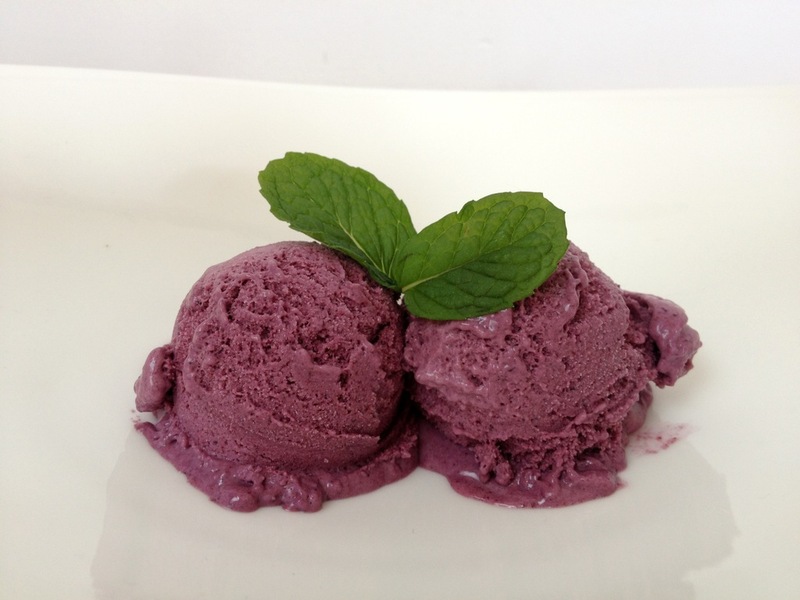 Perfect balance of creamy and tasty Saskatoon berry flavour. We used what we had on hand – 25%/75% whipping cream / skim milk, which turned out great – light yet creamy and delicious! That’s great to hear, Ruth. I’m really happy you liked the recipe!